I’m not sure how many of you have heard of Qia, but it just happens to be my new favorite breakfast cereal. Don’t get me wrong, I still love my steel cut oats, but Qia has been a nice low-carb option with even more health benefits. It’s made up of chia seeds, buckwheat groats and hemp seeds which provide plant-based protein, fiber and ALA Omegas. You should be able to find this bag of goodness at Whole Foods, your local grocery store and definitely online. My mother-in-law even found it at Publix in ATL, so hopefully you’ll have luck too. I get mine at Co-Opportunity in Santa Monica. 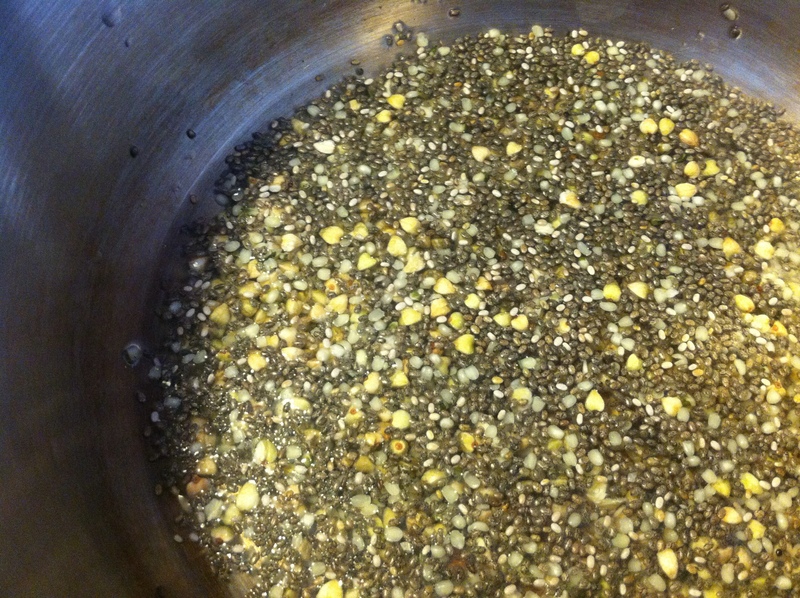 In a small pot, add 2 tbsp of Qia and 4-5 tbsp of your liquid. Turn burner on to medium and stir. Next add dates and berries. You want to give the fruit time to cook and become tender. You can also use apples, bananas, blueberries or any fruit of your choice. I just suggest using one sweet fruit and one tart fruit. Up to you though! Once you see it start to plump up a little turn down to med-low, add cinnamon and let cook till the raspberries kind of melt in the qia. 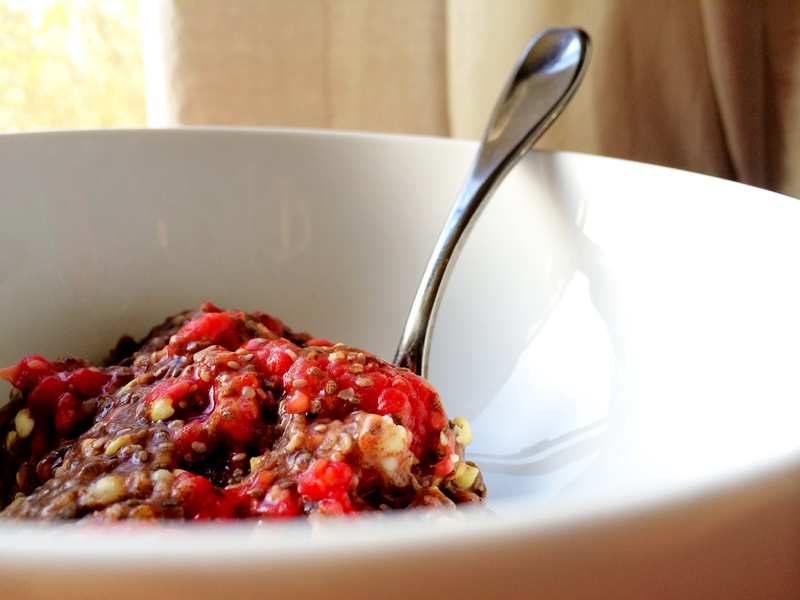 Once everything is cooked and starts to resemble an oatmeal-like consistency, add your favorite nut butter. 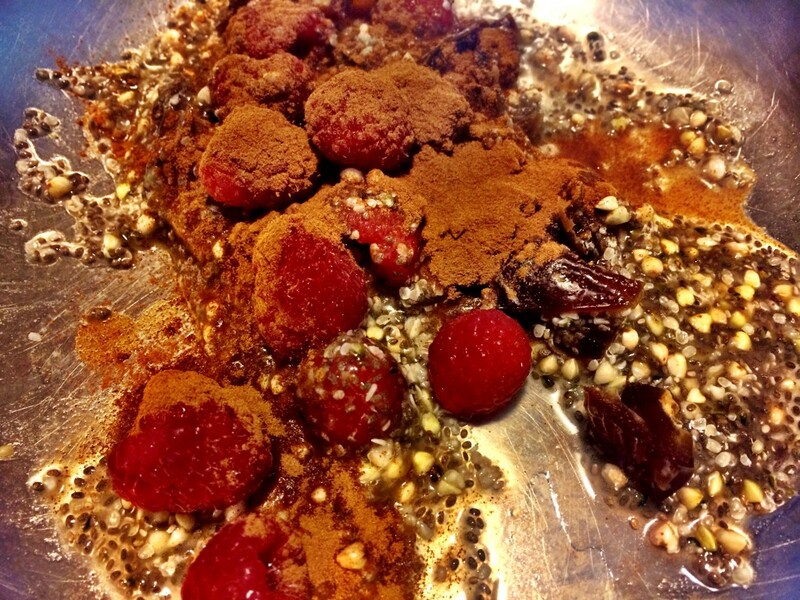 I like almond butter with this recipe. Make sure everything is mixed well and transfer to a bowl. 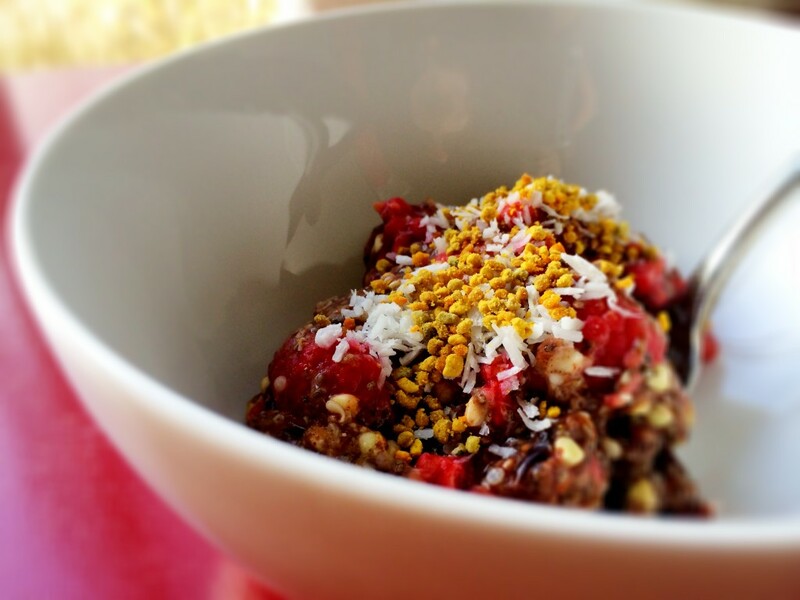 Top with shaved coconut and bee pollen or leave as is.